As someone who will eat any kind of pie, the idea of a vinegar pie doesn't shock me at all. However, depending on where you live, it may be unheard of. 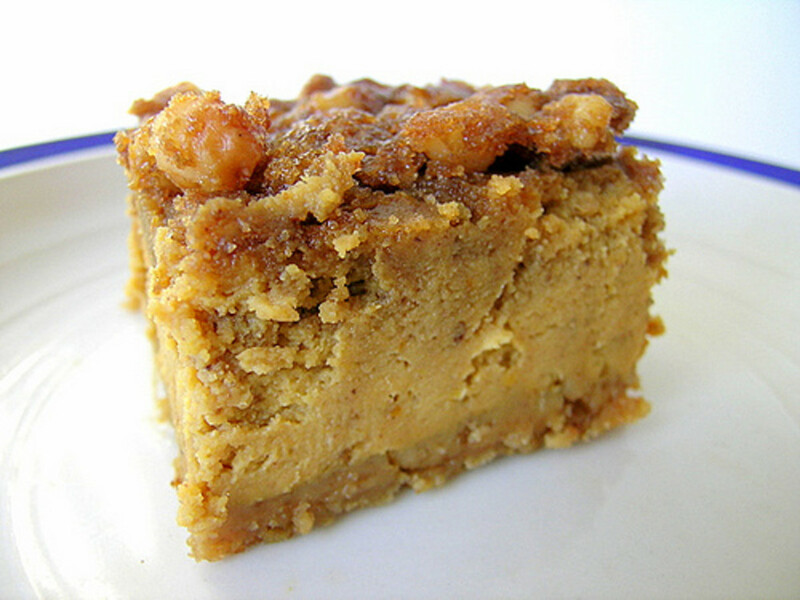 In New York and Chicago, we are familiar with bean pies, which still shocks a few people. Even sweet potato pies are unknown to people without Southern roots. So then what is a vinegar pie? When you think about it, one of the most popular pies is the traditional 'mom and apple pie' pie. And vinegar, rather apple cider vinegar (ACV), is made from apples. A vinegar pie has a bit of vinegar to give it that nice tart apple taste. What is the history? 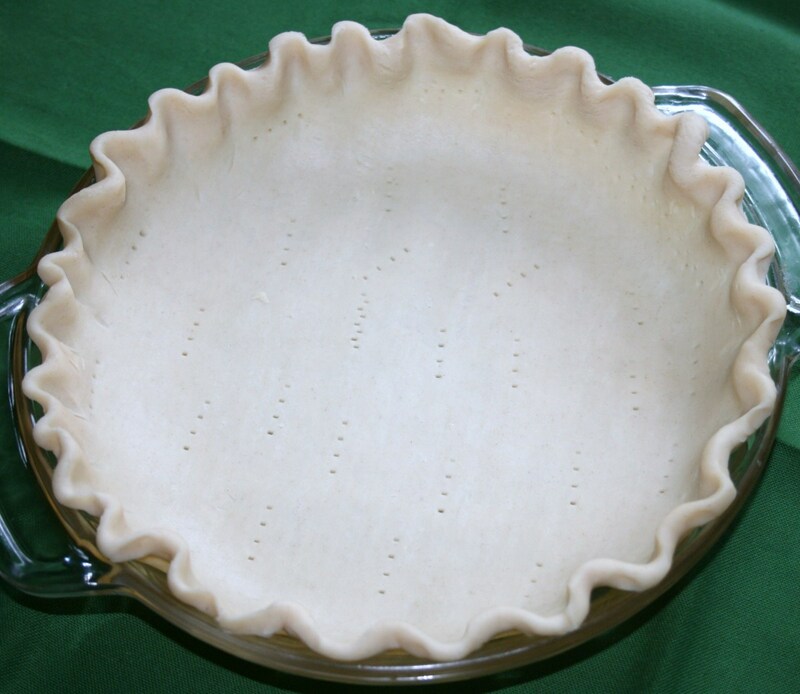 Vinegar was used in flavoring pies since the 19th century in the North and Midwest. 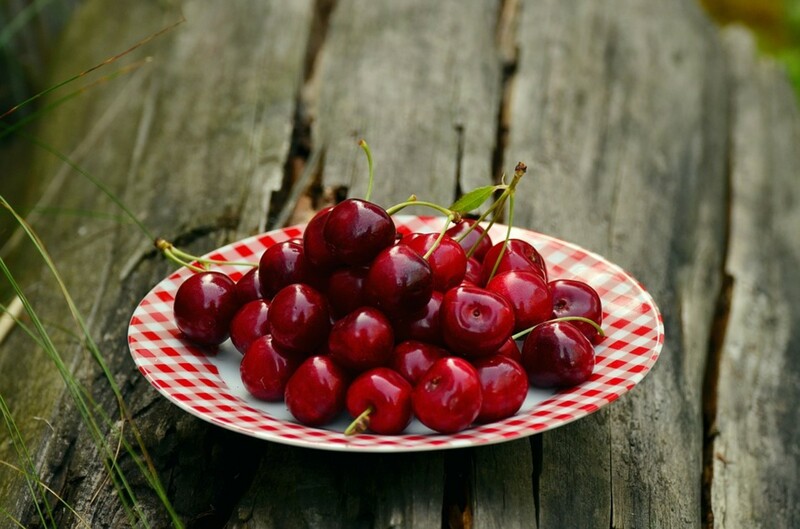 It provided a tart flavor for desserts when fruits like apples and lemons were not available. It seems to have been popular in Kansas. Any recipes? I asked a friend for her recipe and a photo and she is, like many great bakers, one who says, "just throw in a pinch of this and some of that," and it is perfect every time. There are what seems to be hundreds of recipes on the internet, some with lots of spices - like nutmeg, cinnamon and cardamon, others with raisins or lemon and brown sugar instead of white. Some very early recipes did not have eggs. Note: Some people like to put it under the broiler for a few minutes. 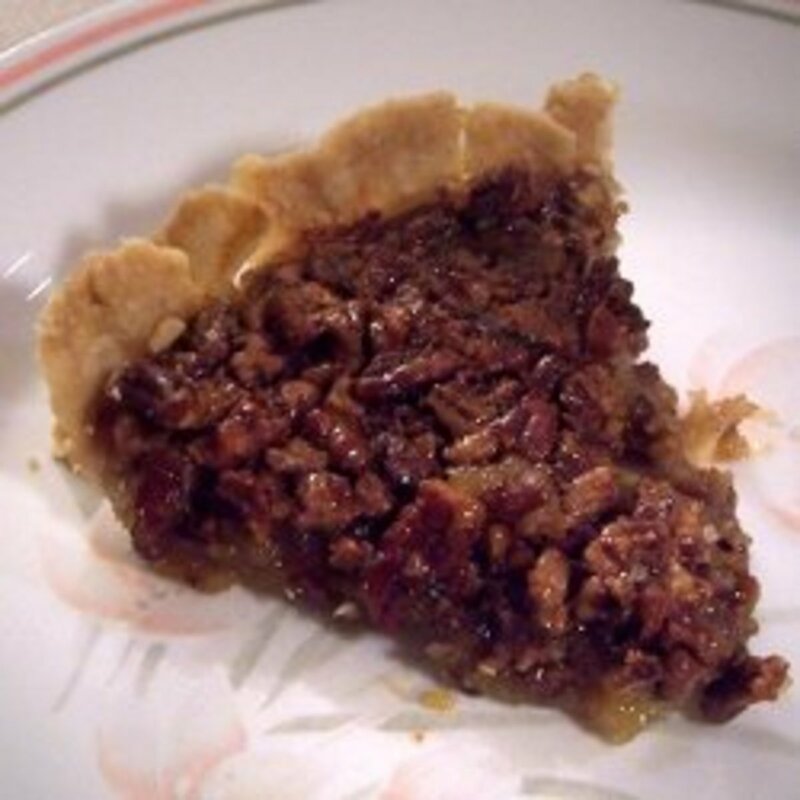 Vinegar pie was common in the lumber camps of old. Fresh lemons were non-existent so they substituted vinegar. I first tasted it when an old lumberjack neighbor made it. He has cooked in the lumber camps of Upper Michigan. Wow. I'd never heard of vinegar pie, but I can totally picture this. It makes sense in the context of a shortage of affordable fresh fruit, just like thrifty home cooks came up with mock apple pie make with saltine crackers for filling! judyt57 - I am so glad you shared this information. I have a feeling that this was the original recipe instead of pie crust because our elders always used what was on hand. As the saying went "Waste not, want not!" I would certainly love biscuits as a base - biscuits used to be sooooo good! I love Vinegar Pie. My dad learned how to make it from his mom. He was born in 1914 in New Mexico. His mom came from Kentucky. Their recipe is almost the same as yours, except instead of putting it in a pie crust, you pour the cooked mixture over a dish full of torn up stale bread, biscuits or rolls. The texture of the bread is so great once the custard soaks in. It's not a healthy dish, but it is historic and delicious! It certainly is unique moonlake - thanks too for the vote and more! This pie sounds very interesting and very good. Sounds like something my grandmother would have made. Voted Up and more. Oh my gosh - Love Apple Pie - made with ketchup? I have never heard of it. I'm going to have to search all over the internet MsPastryLady - to see if I can find out more about it. Thanks for commenting and sharing such fun information. It's been forever since someone commented on here. I love pie and weird pies are so much fun to make! I know when I mention to my boyfriend, Vinegar Pie, he is going to be hesitant to try....maybe I won't tell him the ingredients.... Lol! I know he was weirded out when I mentioned Love Apple Pie, made with ketchup! You're welcome Becky Puetz. My cousin bakes this pie all the time! I'm glad you liked it Journey* - it seems what is old is coming back as new. Thanks for writing and thanks for the rating. Yay! LORD BRYAN - I am so glad you are game to try something new. We guest-type people like that. Hope you'll let us know how your dinner went. We are having friends in from the US in a couple of weeks to stay with us. We will have a dinner for them to meet people. I think this will be perfect for dessert. I look forward to seeing faces as I say, this is vinegar pie. Thank you BK for such an unusual dish. Sweet potato pie is sooo good - I agree with you Rose West. Whew. This pie is unique and just when I thought I had tasted them all - this one. One hubber above wrote about vinegar dumplings. Something else I'd like to try. It's one of those pies to look forward to in the winter. cathylynn99! Tantalizing is a good word to describe it! Thanks for commenting! You're welcome Maita - hope you try it and like it. I think it's pretty nice. Glad you commented! Hope you like it mulberry1 - I do like the bit of tartness that this pie offers. It seems sugar has taken over pie filling now - maybe our natural fruit is no longer sweet enough. Hope you find a recipe you like - there are so many. Thanks for writing! I had never heard of this. But it makes sense. My biggest complaint about many fruit pies is to often they are over sweetened. All you can taste is the sugar, I want to taste the fruit, the tartness,...this might be right up my alley. Exactly, Dr irum. I really like the sweet and sour combo. Thanks for writing! I'm your fan now! Wow what a combination of sweet and sour ,Vinegar itself has lot of benefits .So nice stuff. Oh Nellieanna - vinegar dumplings - how absolutely fabulous! I can taste them. We must find a recipe to share. Some things just make your mouth water. I would love to try them. Thanks a million times for that information! My darling mother, who grew up in the upper midwest and graduated from the Univ. of Chicago, knew I loved her vinegar pie and vinegar dumplings. I don't have HER recipes for them however. But I'm just pleased that anyone else has even heard of the genre!! You're welcome PaperNotes. I'm a big pie lover too - and this one is a big hit. Hope you try it and like it! Wow, vinegar pie? I love pies and I look forward to one day tasting that kind of pie. Thank you! Apple cider pie sounds right travel_man1971, because that is the vinegar of choice. Interesting that it would be made and served on board. I'll pass on the information to my cruising friends. Thanks for writing! The sweet and sour taste of this pie makes it interesting. We've made like this pie onboard ship. You can also call it apple cider pie. Our Greek master like it that he usually ordered repeats of the dessert. Hello prasetio30 - it is a good one. I hope your mom tries it and you let us know what she thinks - and what you think. Thanks a lot for commenting and voting up! I never heard about vinegar pie. That's must be a healthy pie and absolutely delicious. Thanks for share with us. I'll show this to my mom. Vote this up. You're welcome Peggy W and how well I remember that mock apple pie from Ritz Crackers way back when - when I wrote a hub about weird pies I included it. I just can't imagine how someone would have thought of this. Thanks for sharing that. I guess we can turn anything into a pie! And of course we will eat anything! I have actually heard of vinegar pie but have never tasted a piece. 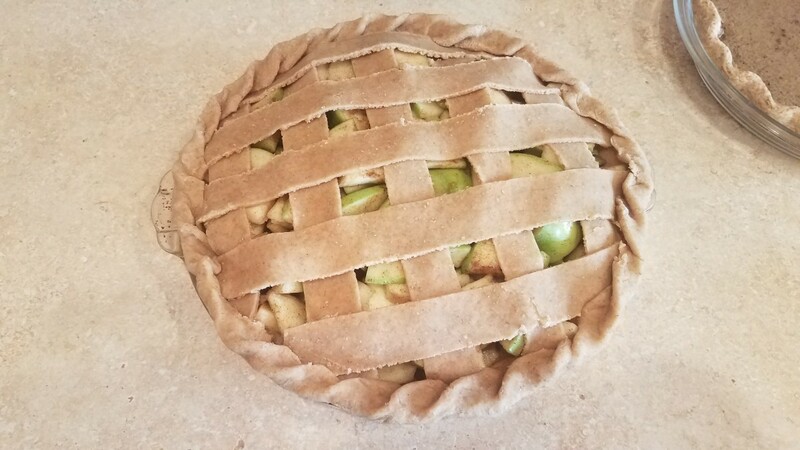 Speaking of unusual pies...many years ago there was a mock apple pie recipe that was going around that used Ritz crackers in place of real apples and the pie actually tasted and looked like an apple pie once baked. I can vouch for the taste of that although it was many, many years ago. Thanks for an interesting hub. Hope you like ti Micky Dee. It can be a nice surprise! Nice! I've not heard of vinegar pie. I may try this. Probably if I get near one. Thanks again! You're welcome Granny's House - hope you try and like and share your good eating thoughts! It a fun pie TINA V! Hope you have a great weekend too - thanks so much for your well wishes. It makes me feel good! I like apple cider vinegar and this recipe sounds interesting. Thanks for sharing it. Have a great weekend! Hello 4FoodSafety, I saw some recipes where people have used balsamic and said it was so great. Sounds delightful to me. If you have some time you may want to do an internet search for the pies with balsamic! The recipes range from a few ingredients to over 10. I don't care for ACV but love balsamic - can I substitute? 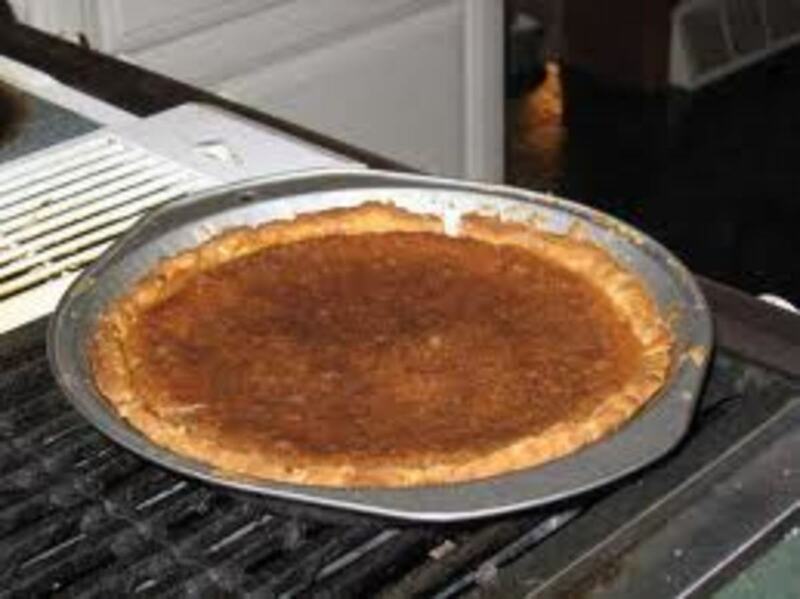 I have bookmarked your chess pie recipe RNMSN - it sounds great. It's still so hot here in NYC so the baking will come in the fall. And then it's time to have some pie fun. Hope you really like the recipe. I love the way it smells.! I'm so glad to keep hearing about this love of vinegar creativelycc. Hope you try it and like it - I think you will. Thanks for writing! Hope you'll let us know what you think! 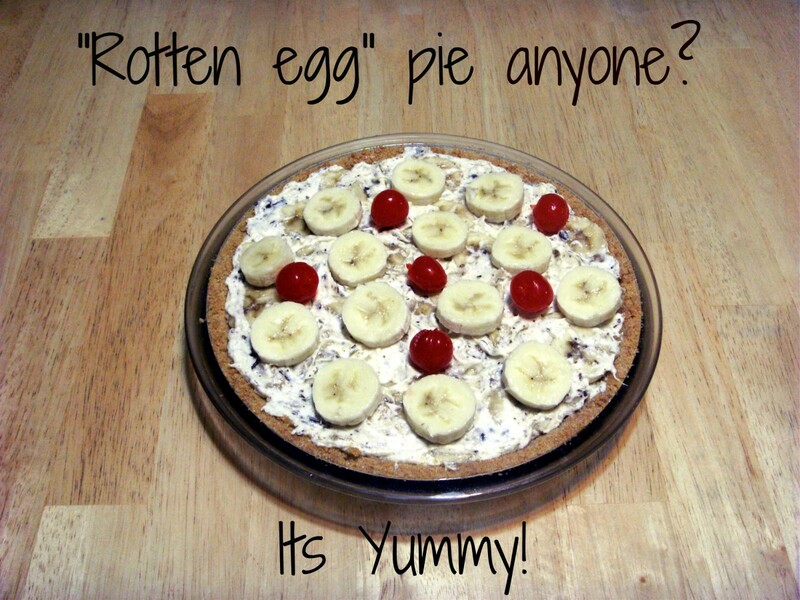 Wow, I will definitely try this pie one day! I'm a firm believer in the benefits of apple cider vinegar for health and how it makes so many recipes taste even better. I'm sure this is just another wonderful thing it can do! You're welcome. Ah, I loved those pie baking days. Fresh fruits - so good. Hope you try this one mwatkins and let us know what you think. I have to say that your title had me guessing about a vinegar pie. My grandma baked a lot of pies, and like the traditional farm picture, often had a fruit pie sitting on the window sill to cool off. None of them were vinegar, though. This looks so much like pumpkin pie, though, that I'll have to save it for my treat night once a week - Thanks! Sounds like fun drpastorcarlotta. A great big surprise for everyone - they'll love the fun of it all. See you soon! WOW!!! Very different! I like different! lol I am going to make this and don't tell anyone what it is. lol, Blessings! Come visit me when you get a chance. I really really think you'd like it Nicole - being the ACV drinker that you are. It is fantastic katieM2. I'm told it's close to chess pie and chess pie also has vinegar in it. It is kind of unforgettable. Thanks for adding your opinion! And I must try chess pie now. It sounds fantastic to me, I had many very good pies while in the south, chess pie was one and I think I may have had this and as I recall it was unforgetable. Thanks for the great read and recipe for vinegar pie. I believe apple cider vinegar is the end all to end all! I hope you try it Veronica Allen - and like it. I think vinegar is kind of addictive now. I can almost wear it like perfume! I tell you BkCreative....you always come up with the most interesting things. Vinegar Pie - who knew? I do like vinegar, so I will have to try this one out. Hmmm, you've given me an idea HappyHer - I'm going to look for more unusual dishes to write about. I'm sure there are many - and they are probably healthy too. Hope you do like it girly-girl09. I'm a vinegar fan myself and so I can easily enjoy this. I would probably love this as I love all things vinegar. I'll definitely try it! I've heard of a lot of unusual dishes before, but never vinegar pie. I might have to try it someday! Thank you. Oooh thanks habee! Thanks for your personal recommendation! Delish it is! I've made this several times, and it's delish! Thumbs up! You're welcome RNMSN. I've been told that it reminds people of the chess pie which I have not yet tried. Thanks so much for your kind words and it's nice to meet you by the way! Yay! 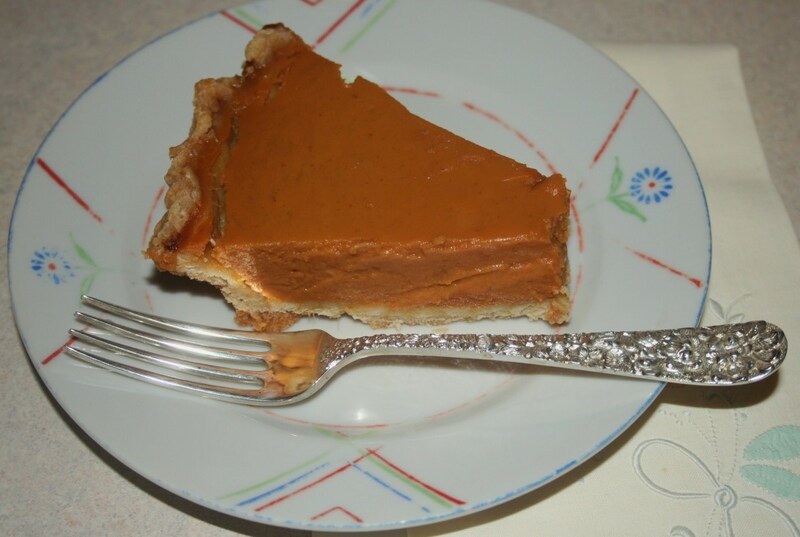 great recipe for just a few ingredients and reminds this ALA girl of chess pie!! I will bookmark it cause nothing is better than a nice dessert without a lot of effort! !great article too well put together thank you for this new recipe! Hello Shalini Kagal - I'd love to hear what you think of vinegar pies. There are hundreds of different recipes on the internet. I had no idea it was such a big deal. I wrote about it a year ago in my 'weird pie' hub suggested by a friend - and then forgot about it. I too like the hint of tartness like in a lemon meringue pie or lime pie and such. It is interesting KoffeeKlatch Gals. I'm sure there are tons more unique pies out there - that I'd like to try. Your vinegar pie recipe certainly sounds interesting. Good point GreenThumbLady - we are rediscovering all the benefits of ACV so why not make it in a pie. Hope you try and like! Well...who has ever heard of a vinegar pie? I mean, it only makes sense...it is good for everything else! lol I am going to have to try this!!! Hello akirchner. According to my pie folks - they claim it closely resembles a chess pie. I think the eggier one I had was a bit lighter and more custardy than some others. Some recipes call for only 1 egg. I hope you try it and let us know your recipe and what you think. Ah, I like your game spirit reddog1027. That sweet potato pie will not disappoint. Hope you like the vinegar pie. I think that's what a pie should be about - using what's on hand! You're welcome creativeone59. I know you are a great baker. I hope you like the pie and there are so many recipes to choose from. I'm sure you'll do your own things. That's it Lord Bryan - try anything not once but twice. Yay! I'd love to hear if you like it and your guests. I've never heard of one or made it - that is shocking! What kind of pie do you think it 'most' resembles in flavor? Would it be like a custard or something along those lines? I will have to give it a whirl! Vinegar Pie. Interesting. I'd try anything once or twice. We like to entertain and this would certainly be a talking point. I've copied the recipe and it's for my next dinner party. Thanks for this. Vinegar pie has been added to my recipe file!!!!. Being from the North East, I myself had never heard of sweet potato pie. I am now a huge fan. I never knock any pie recipe from a part of the country where I have never lived. 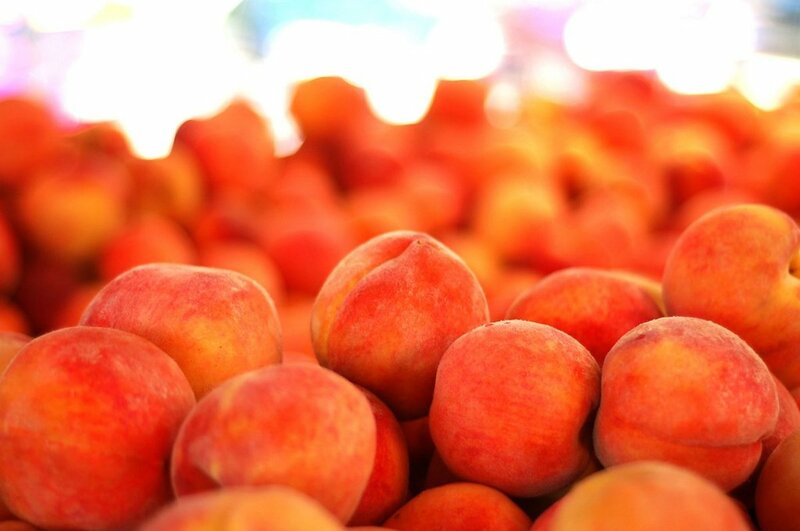 Before refrigeration, you had to use what grew local. Hmm, bean pie, sounds interesting. There are so many recipe's Sally's Trove - it seems later recipes included cinnamon and nutmeg which may be a nice addition. Hope you find a recipe you like - and write a hub about the results! I'd heard of vinegar pie, but the name was never appealing enough to even think about making it, and I know no one who does. But the ingredients are so simple--things you probably have around the house all the time--that I absolutely have to give it a try. You're welcome msorensson. You may also like the 'weird pie' hub linked above. Weird pies are listed but then many of the comments list even more weird pies. Wow..I have never heard of it until now..Thanks. Thanks dahoglund. I put ACV in the recipe too because it is the brown vinegar that is made from apples. A white vinegar is made from corn I believe - and there are other vinegars. Hello Pollyannalana - if you want some great vinegar hubs I linked (above) to theherbivorehippi's many ACV websites. She's covered quite a bit of uses. Have fun out there today! Well now llmartin I am going to have to look up that sugar pie. Maybe I can add it to the weird pie list. Thanks for that. It's the tart taste that I go for too Jen's Solitude. I hope you try it and like it. There are hundreds of recipes on the internet. If you try it Hello, hello, I hope you like it. I like it because it is so easy too. You'll find a recipe you like because there are hundreds. Thank you for sharing this unusual recipe but it sounds great. Must try. I love apples and I love tart tastes, I think I would like this apple cider vinegar pie as well. Thanks for the history and the recipe! Lucky for my waistline, I don't eat pies of any kind -- don't like them. I think the worst thing I ever heard of is a French/Canadian sugar pie. Euw! Vinegar has so many uses. Your explanation that it helps flavor the pie makes sense to me. You're welcome paradise7. Seems there are so many unusual pies out there. You're welcome too VioletSun. It seems many of us are developing a love affair with vinegar like theherbivorehippi above. Like Paradise commented, Vinegar pie???? :::insert wide eyes::::: :) I bet its healthy. Thanks for introducing us to an unusual recipe. Vinegar pie??? I had to check this out. Seems more like apple pie without the apples, which could be OK after all. Thanks for an unusual recipe, BK. You know theherbivorehippi - very early recipes had no eggs. I'll have to see if I can find such a recipe and forward it to you. Thanks for linking it to your wonderful vinegar hubs. I appreciate it! Love the grandmothers, they were able to work magic with anything and everything. I'd love to know how you like it Putz Ballard. It seems there are hundreds of recipes on the internet. Oooooh... I just love this idea since I am after all, obsessed with apple cider vinegar. I must figure out how to transform this to a vegan recipe. I am going to link this to my apple cider vinegar hubs for sure!! Not long ago while visiting an uncle of mine, he and my mom were talking about how my grandmother loved to make pies. If no fruit or berries were in season she would sometimes make a vinegar pie. This was the first time I ever heard of vinegar pie and now here on hub pages it appears. thanks for sharing this recipe, I must get my wife to make us one soon. Thank you TheListLady - it is a surprise that this can actually be a pie and not a bad pie. I'm amazed at how innovative people have always been. It's the eggs that give it a custard type filling. Kind of light actually. Thanks for writing. Hi timorous, seems the bad information about eggs has been discounted and they are not a cholesterol health hazard as we were taught - in order to send us out to buy all those egg substitutes. All things in moderation. Hmmm...interesting, but not very healthy..what with all that sugar, and the cholesterol from 4 eggs. Still..it's not like you're gonna have it every week, are ya? Love vinegar pie, the simpler the better. I prefer it without the raisins too and under the broiler seems to make it a bit firmer. Otherwise it can be custardy. Thanks for all those vinegar links. I'll check it out and the weird pies. I find it just slightly tart Coolmon2009, but then I like the tart green apples to make apple pie as opposed to any other variety. This recipe seems to have enough sugar to keep the tart from being overpowering. It's interesting that I can try one vinegar pie and then try another one and it can be so entirely different! And I prefer it without raisins - and a hint of cinnamon is nice. Sounds interesting and unusual. I wonder how sour or sweet this would be.